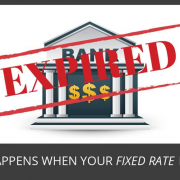 Do you know when your fixed rate term is coming to an end? Once it finishes, the bank is free to quietly switch you to a higher interest rate – unless you act fast! Think of how costly it could be if you simply let the bank choose your interest rate. If your bank charges you just 0.5% more than the competitive interest rates, this adds up to a significant amount over the term of your loan. You can save yourself a great deal of money and perhaps even cut years of your loan, if you are proactive about monitoring your interest rates and choosing the right option for you. A variable rate can be a great option if you want to take advantage of low interest rates, or if you want the flexibility to redraw or make extra payments. When your fixed rate term expires, the bank will automatically switch your loan to the Bank Standard Variable Rate (BSVR). Do some research to find out whether this is a competitive rate; if not, you can talk to your bank and try negotiating a better deal. And if they do not offer you a competitive rate, you can switch lenders. Lenders generally prefer to negotiate rather than lose a customer, while they don’t generally make their best offers to customers with a proven history of loyalty. So when it comes to your interest rate, stay alert and ask questions – keep your lender busy, trying to keep you happy! One option is to ask the bank to re-fix your home loan, extending it for another one, three, five to ten years. The fixed rate is a good option for you, if you are planning to pay off your loan steadily over a long period of time, and you want each mortgage payment to be a regular amount, so you can budget your money precisely. Fixed rate protects you from rate rises and you could be paying less than the variable rate. However, there is also the risk that you could end up paying higher than the market rate if you are locked into an outdated fixed interest term. There may also be a break fee if you change or pay off your loan within the fixed period; this means the fixed rate is not a good option for anyone planning to sell their home. Call us if you need assistance pinpointing the best and most competitive option for you. No one likes to spend any more than they have to, but you always get exactly what you pay for. An insurance comparison expert has said that investors looking to cut corners financially could set themselves up for financial ruin in the future. Abigail Koch, spokesperson at Compare The Market, said that investors need to keep in mind that, while a property is seen as an asset for them, for tenants, it is a home. “Investors need to provide a rental home that is comfortable, safe and secure — and also complies with state leasing legislation — but at the same time they need to secure a good tenant who pays their rent and looks after the property,” Ms Koch said. While agent fees are a cost that needs to be paid, Ms Koch believes that the cost is outweighed by bringing on board the level of expertise. She suggests landlords can handle advertising, the lodgment of lease agreements and bond forms, the screening of tenants, inspection of the property, follow-ups on unpaid rents and organising of repairs through tradespeople. “Landlords that manage their own properties without expertise and experience in these areas could risk paying more in the end, if they fail to do their due diligence and don’t comply with legislation,” Ms Koch said. 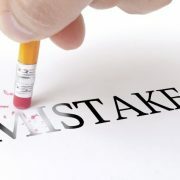 Agents who do not thoroughly screen tenants could end up with a bad tenant, costing the landlord their time and money. “Landlords should know if their property managers are checking that applicants can afford the rent, have a good credit record — including a history of on-time rental payments — are making reference checks and vetting applicants through a tenant database,” Ms Koch said. Good tenants could break out of a lease early if their landlord ignores or refuses requests for urgent repairs, such as burst pipes, gas leak, or electrical faults, which can result in both a now-vacant rental property as well as the landlord being further out of pocket. Landlords can face fines for failing to comply with state safety requirements, as they are responsible for providing a safe environment for tenants. “Landlords should seek legal advice to make sure they meet all requirements under the law, including the installation of smoke alarms, having secure fencing around pools and spas, and adequate locks on windows and balconies,” Ms Koch said. Discriminating against someone is never the right thing to do, and landlords are no exemption. Landlords who are found guilty of rejecting potential tenants on the basis of ethnicity or age, while approving of another tenant, could be hit with hefty fines. Ms Koch recommended assessing applicants based on credit history, how steady their income is, as well as their previous rental history, and warns not to judge an applicant based on criteria not related to the property at hand, such as “their age, gender, race, religion, marital status [or] disability”. “For houses, building insurance may cover the cost to repair your property if it is damaged by a storm, but if the damage makes your home uninhabitable, only landlord insurance would cover the loss of rent,” Ms Koch said. “For apartments, landlords should check what is covered under their building insurance, as this may exclude liability within an apartment. Ms Koch recommended comparing insurance policies on insurance comparison websites in order to locate the most appropriate policy for a property. Landlords want to make as much money as they can, but Ms Koch warned that pricing rent significantly higher than comparable properties could result in fewer or shorter-term tenants, who may be less likely to take care of the property than long-term tenants, and cause higher repair costs. This would also mean that landlords would be losing money during the tenant-less periods and paying for more advertising. “As a rule of thumb, landlords should avoid increasing the rent more than once a year or by more than 5 per cent per annum, or they may risk losing their tenant,” Ms Koch said. The Reserve Bank of Australia has held the cash rate at 1.50% at their December meeting. This is the 15th consecutive month the RBA has held the cash rate, after cutting to the historic low of 1.50% in August 2016. Once again, the RBA’s result was correctly predicted by the experts polled. 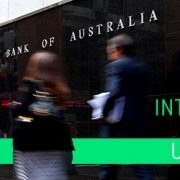 There are plenty of reasons for the RBA to leave the cash rate where it is. Overall house prices were flat in November and Sydney has seen a drop in prices over the last few months. Rates can’t really get much lower than where they are and tightening restrictions on interest only and investment lending currently make it harder to get those types of loans. This effect is similar to a rate rise in some respects. And with mortgage debt a major cause of stress in Australian households, a rise in the cash rate could have troubling effects on Australian borrowers. The Reserve Bank doesn’t meet in January, so the bank will make its next cash rate decision on 6 February 2018.